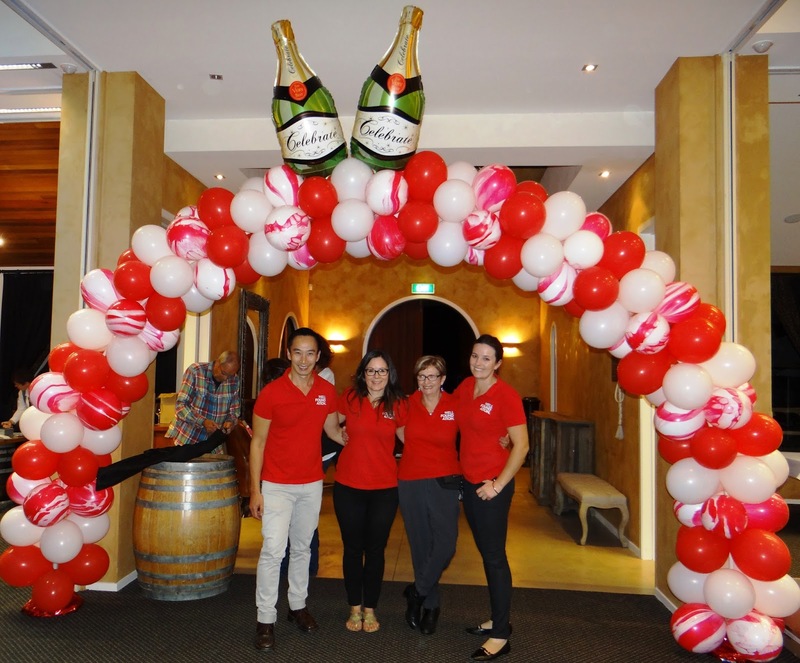 Well Foundation team and the balloon arch created by Katrina Matich from Waitemata District Health Board. (L-R): Andrew Young, Angela Vircavs, Carol Painter and Laura Stenberg. Over 150 wine enthusiasts flocked to the stunning Ascension Wine Estate in Matakana, NZ on May 9 for the Rotary Club of Warkworth’s Raise A Glass Wine Tasting and Charity Auction. The wine tasting gave attendees the opportunity to sample wines from more than 12 local wine growers before the exciting auction. Over 27 wine and non-wine action items went under the hammer on the night, giving bidders the chance to battle it out for “one of a kind” or “last ever” bottles of wine and special experiences. Top selling items on the night included a catered excursion on the Mahurangi River for up to 50 people which went for $2,650 and three bottles of 2010 Larose from Stonyridge Vineyard that sold for $1,050. Warkworth Rotary Club then president Robin Dixon says the team was thrilled with the event which would not have been possible without the support of the local community. The event raised a much appreciated $10,000 for the Well Foundation, which is the official fundraising body of Waitemata District Health Board which operates North Shore and Waitakere hospitals and health services for Auckland’s North, West and Rodney communities. The foundation will put the money towards a new $195,000 mobile health clinic which will visit early childhood centres, schools, community events, and many other communal areas within the Waitemata district right out to Kaukapakapa and Helensville. Raise A Glass will return next year in May, and with the organising committee already focused on planning, it promises to be bigger and better in 2016.